NEW YORK -- It was the biggest moment of Naomi Osaka's life, and the tears streamed down her face. As she waited to be handed the US Open trophy, something she had wanted for as long as she could remember, the crowd booed loudly. She was shaking, her face frozen in agony. On Thursday, after advancing to her first Grand Slam final, the 20-year-old said she had been dreaming since she was a child about playing -- and beating -- Serena Williams with a major title on the line. Her dream came true, but it probably didn't feel like it at the time. It's hard to believe any of her dreams ended quite like Saturday did, despite the victory. 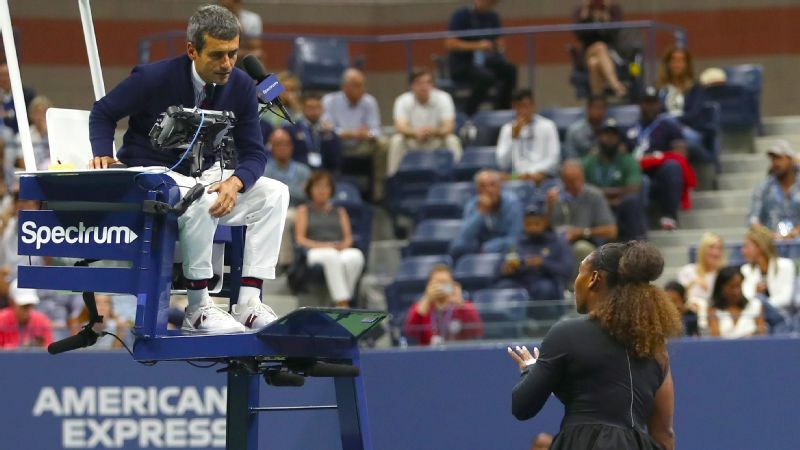 The match, specifically the second set, was marred in controversy as Williams was handed three code violations -- the last (for verbal abuse) resulting in a game penalty, giving Osaka a 5-3 edge. Osaka could barely manage a smile. It was only when Williams put her arm around Osaka to comfort her that she showed any relief. Her voice cracked as she was interviewed by ESPN's Tom Rinaldi. "I know everyone was cheering for her, and I'm sorry it had to end like this," Osaka said. The biggest victory in Osaka's career, the one she had worked her entire life to achieve, was completely overshadowed by disagreement and chaos. As she posed for pictures with her new trophy, her face was stained with tears, and her lips locked in a straight line. She looked devastated. Naomi Osaka didn't quite have the glow of a first-time major champion while hoisting the US Open trophy. It's a stark contrast from virtually every other photo of a first-time Grand Slam champion, which usually shows ear-to-ear grins and wide eyes. 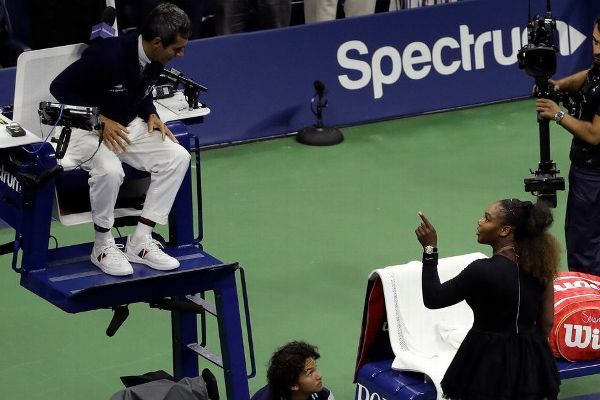 "I felt at one point bad because I'm crying and she's crying," said Williams. "You know, she just won. I'm not sure if they were happy tears, or they were just sad tears because of the moment. I felt like, 'Wow, this isn't how I felt when I won my first Grand Slam.' I was like, 'Wow, I definitely don't want her to feel like that.'" 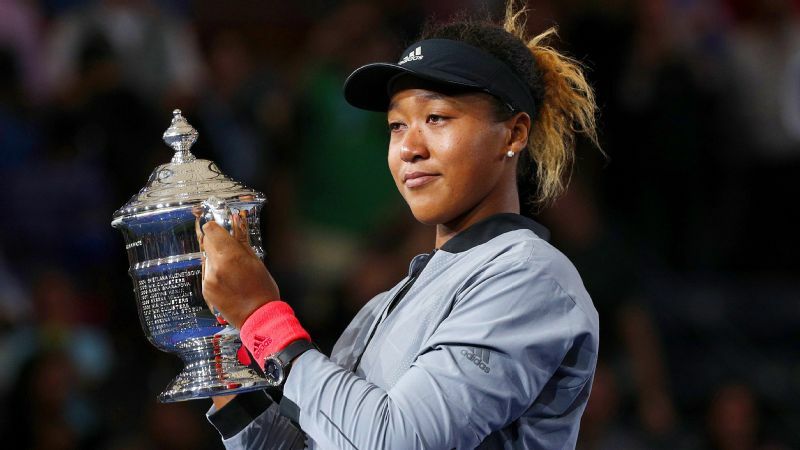 Osaka played an incredible match en route to the title, needing 79 minutes to become the first Japanese player in history to win a Grand Slam singles trophy. She had 15 winners and converted 14 of 15 break points. With the win, she'll crack the top 10 for the first time in her career. And while the officiating will be what everyone will be talking about for the foreseeable future, it's frankly a shame that fans didn't get chance to properly meet the brightest young star in the game -- full of personality, a sense of humor and maturity well beyond her years. But those in attendance for her post-match news conference did. 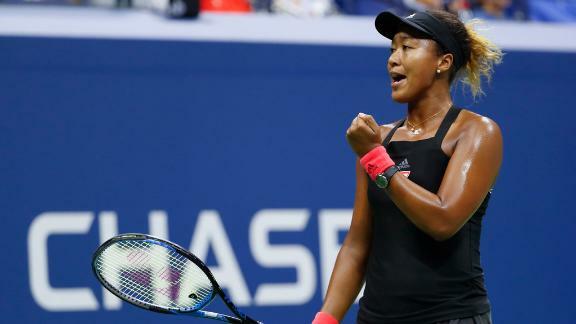 Ninety minutes after the strange scene unfolded at Arthur Ashe Stadium and on television screens across the globe, a composed Osaka was her charming self once again. She could have talked about her star-making moment being ruined or spoiled, or how crushing it was to hear boos from the crowd, or any number of "Woe is me" comments, but she didn't. Instead, she took the high road and had nothing but praise for her hero. "The thing is, like, I don't know what happened on the court," she said. "So for me, I'm always going to remember the Serena that I love. It doesn't change anything for me. She was really nice to me, like, at the net and on the podium. 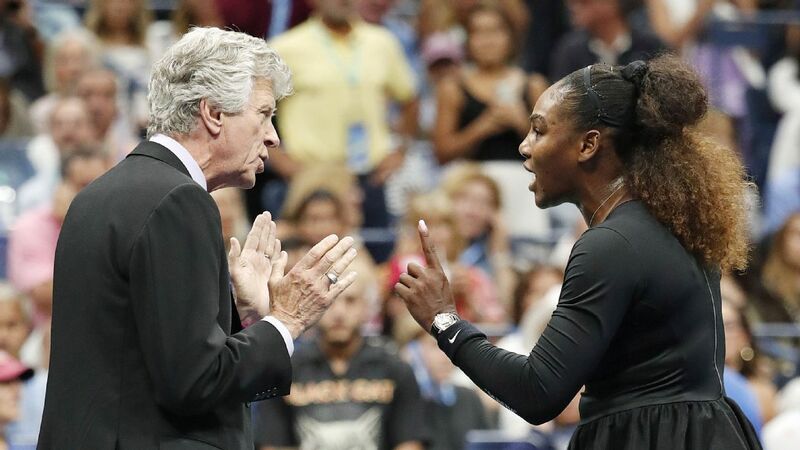 "I know that she really wanted to have the 24th Grand Slam, right? Everyone knows this. It's on the commercials, it's everywhere. Like, when I step onto the court, I feel like a different person, right? I'm not a Serena fan. I'm just a tennis player playing another tennis player." It wasn't just another opponent when the two met at the net when it was all said and done. "But then when I hugged her at the net ..." Osaka said, then stopped speaking as she started to cry. "Anyway, when I hugged her at the net, I felt like a little kid again." A little kid who dreamed of playing Williams on the sport's grandest stage, and who started playing tennis because of her. A little kid who wrote a "Who I Want to be When I Grow Up" essay in third grade about Williams. It felt like a full-circle moment, as Williams' influence is clearly a major component of Osaka's rise. By no fault of either player, that will likely warrant barely a mention in recaps of the match. Despite her worship of Williams, Osaka is very much her own person. She's quirky yet insightful, soft-spoken yet gregarious. She feels like a star custom-made for the internet age. She loves video games, memes and Pokemon and can talk about any of those topics at length if given the chance. She claims to not be particularly social, and she prefers the company of her family, or no one, over an entourage. She has no real plans to celebrate the win, nor any ideas of how to spend any of her $3.8 million in prize money. Born in Japan to a Japanese mother and a Haitian father but raised predominately in the United States, she has a multicultural upbringing that should resonate with many. She is a new generation of athlete, and while many casual fans of the sport won't likely get to see that today, or this week, they certainly will in the future. Because lost in the madness of Saturday was Osaka's absolute dominance over one of the best to ever play the game. It's hard not to think she will win many more Grand Slam titles over the course of her career. And with her childhood dream now fulfilled, what's next for the budding superstar? "Well, I'm going to Tokyo next, so hopefully to win the tournament there," she said with a smile. "I'm just going to take it one step at a time, I'm not going to really think too far ahead." But first sleep, and maybe play a few video games.